High security narrow style single sided mortice deadlock with hardened steel bolt and outside plates to prevent drill attack. 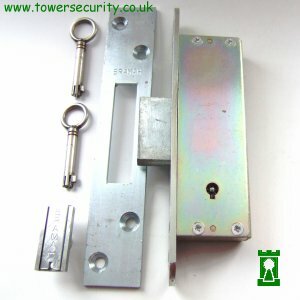 Bramah keys are unique to each lock and can be registered to prevent unauthorised duplication. The bolt is shot or withdrawn with the key from one side only.